I remember when I was very young (around the mid 70s) I would get haircuts from two old WW2 veterans. When it came time to shave my neck, I would literally hold my breath as soon as I saw them stropping the straight razor. I was certain that if I moved a micron that I would be sliced to death. I would not even dare to breath lest I become another bloody barbershop victim in my imagination. It never occurred to me until years later as an adult that my loud exhalation (with a purple face) was what the old barbers and my Uncle would laugh about. I bet those old fellas would have been proud to see me later shave with a straight, but now I don't hold my breath the whole time anymore. This thread just reminded me I need to call my barber for an appointment. My earliest recollections are also of climbing onto the booster seat laid across the chair's arms. Licorice wasn't in vogue - we would get lollipops instead. I always preferred going with my Dad rather than Mom, but as I recall, it was Mom who usually brought me to the barber. When I was 11 years old, we decided I was old enough to bike over or take the bus to the barber on my own, this was 1970 - times were different and safer then, for sure! It was around this time my folks let me decide for myself how to wear and style my own hair. I felt like a real "big kid!" It was also around this time I started growing my hair longer and longer, so trips to the barber were fewer and farther between. I remember one day - I must have been 12 or so, a teenager told the barber to "leave the sides long." I started saying that too. From about that point until I was about 20 years old, I think I went for maybe 2 haircuts per year. My mom would threaten to cut my hair while I slept, so that's when I'd go to get cleaned up - "just gimme a trim." I started working in midtown Manhattan when I was 20, 21 and had to conform on some level, so I started hitting the barber about every six weeks or so. Then I got the itch to go to a "stylist." Gina cut my hair for a few years at that point. It was great! She was a year or two older than me, real pretty, and did everything - wash, cut, lean over me, massage my head... I was in heaven! Then she just disappeared. I was devastated. For the next 2 or 3 years or so I tried many different shops, but nobody I went to did for me what Gina did. Then one day I walked into "Steve's Magic Haircut" - a 2 chair shop here in Bayside, but he's generally the only one cutting hair. Once in a blue moon his sister gives cuts, but I've never tried her out. Steve's been cutting my hair ever since - it's probably closing in on 30 years now - the guy is a magician. Either that, or anally retentive, because every cut is exactly the same as the one prior. He does a great job with my now bald head, and makes me look as good as can be expected, considering my dearth of hair. I won't shave my head, and I won't do a comb-over (EWWW! ), so Steve has earned my loyalty and respect. I see him once a month, without fail. There's usually a bottle of booze on a table in the corner, and every so often I've been known to take a nip before being clipped. I still remember Gina fondly (sigh), but Magic Steve is The Man! There is great shop in Ventura, CA called Legends and these guys do straight razor shaves and haircuts. It started as a one seat shop and now they have 6 chairs and are in an old Mobil Gas station that actually has real barbers and not stylists. They are young guys and pride themselves in the older traditional straight razor shave. They are busy on weekend, but weekdays are pretty easy to get in. Ah, another one that does straight (shavette?) shaves in Ventura. My last five or so haircuts have been at Royal, which is a single-seat shop owned by a Syrian gentleman. It is very close to what I have seen described as Turkish style - haircut, shavette lineup, threading, etc. I have seen him do full shaves too, but enjoy my own too much to let someone else do it . Here's the shop in my hometown. Still $12 and though my wife hates it, it's pretty cool. EJM, I'm guessing she's not fond of chocolate? What is not to like about that. Wish I had one like that here. I'm fortunate that I found a great barbershop near me. An older guy owns it and a younger guy also works there. It's located in a family neighborhood and the customers are all age ranges but lean towards older gents, retirees. There are taxidermied fish, pheasants and deer on the wall and the chatter is usually the weather, fishing, hunting or home/vehicle maintenance and improvements. They give nice cuts and use a razor to clean up the edges - the old guy uses a straight and the young guy uses a shavette. There is some aftershave available too if you ask, usually Stephens. The only problem is that it's usually pretty busy and a cut takes awhile. For a working man, it's difficult to get a cut without going over a lunch break but oh well. 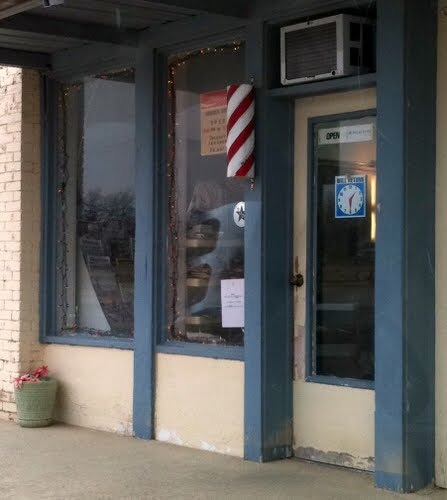 Growing up, the barbershop in my hometown would always do "there's an elephant behind you!" joke when they vacuumed you off and gave your ear a vacuum, kind of annoying. I always wait for my man, Bernie. If he is busy - I just come back later. Charge is $14.00 here- I am sure I could find a barber for much less- but hey- he knows how my wife wants it cut! My wife and I moved into our Condo, in July of 1989. I had been going to a Barber in the neighborhood I grew up in, here in San Diego. Well, I am now in South San Diego. It was about 25 miles to go back to the old neighborhood. One Saturday I got up and drove there, the shop was closed. I asked the guy in the drugstore if he knew where the owner of the barbershop was, he said "Oh he died a couple of days ago. Walter had been cutting my hair and my Dad's hair since the late 1950's He was old then. Well I drove home. I stopped at a liquor store, to get a package of Chesterfield Cigarettes,(quit smoking in 1998) there was a barber shop right next to the liquor store. 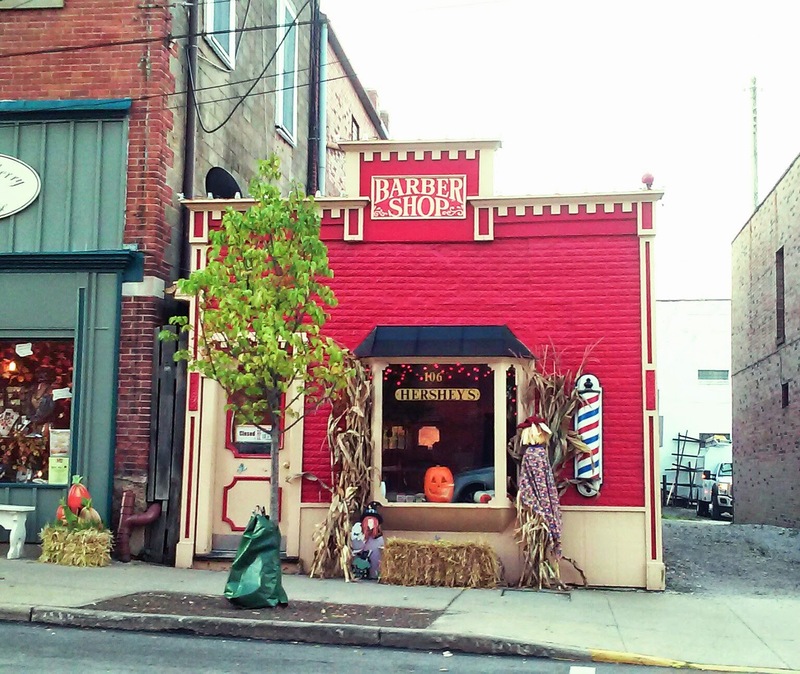 I walked in the barber shop, the barber was getting ready to close, I asked if he could give me a hair cut, he said yes I have time, I have been going to him since Sept. 1989., My Barber is Semi-Retired, he works from 7am to 12pm. Tuesday thru Saturday. In the afternoon he goes and gives hair cuts to several customers he has that live in the California Veterans home in Chula Vista, and a couple of Older gentleman that are over 100 yrs old at their homes. Oh and he only charges $10.00 for a hair cut to his regular customers. The first thing I do whenever I move to a new city is find a good mechanic and a good barber. I've been lucky thus far in both aspects. The barbershop I go to is called Who's Next in New Tampa. It's a Hispanic barbershop owned and ran by a Dominican guy from Brooklyn. 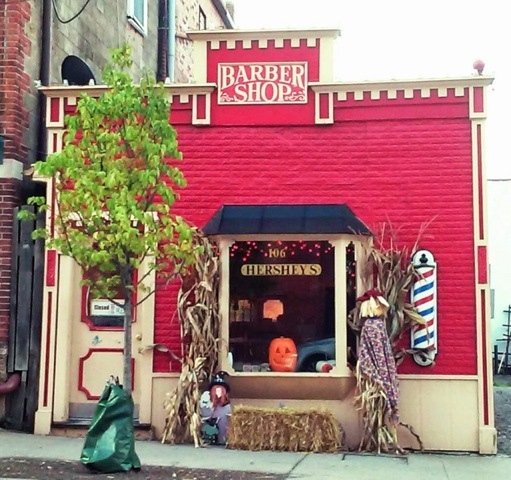 There are 6 barbers there who all do a great job. The wait is never long, but I wait for a specific guy there. They do everything kind of cut imaginable. They all know how to fade, they are masters at lining up, they all hold good conversations in English or Spanish, and they really care about quality. This guy is so popular that he has kicked around the idea of opening a second shop. What's holding him back is that he can't be in both places at once and wants to make sure that ALL of his customers are 100% satisfied with their cut. I went and got my hair cut yesterday. Got a Hair cut High and Tight. Chesty Puller would be proud! My barber is a one chair old school kinda barber. He also happens to be my father. My grandfather was also a barber. He actually had the pot belly stove and checkers board for the guys to set around and shoot the breeze. Here is where I received my first barber shop haircut in 1977 at the age of four. I took this picture around five years ago while waiting for my wife to have a prescription filled at the pharmacy next door. The barber Mr Hatfield, passed away in 2013 after working in his craft since the mid 60's. He was still cutting hair right up to the couple of months before he died. I didn't go to him much after my hair became thin and could be cut at home with clippers. But I recall not ever having a bad haircut from him and he never rushed to get done and on to the next customer. RIP to all the Mr. Hatfields who are no longer with us. I am also in wellington Florida. I use the wellington barbershop on southshore. If you are in the RVA I went to a barber out in Sandston (near the airport). He was good and would clean clean up your neckline with a shavette. Of course, Sandston might be a bit of a hike just to get a haircut. I am in Raleigh now and my uncle is a barber so I go to him sometimes.